Your digestive system is extremely important in meeting your nutritional needs. The digestion process becomes less effective as you age, and is one of the most common causes of malnutrition in older people. For this reason digestive support in the form of digestive enzymes can be very beneficial. Food is exposed to hydrochloric acid in the stomach as well as other enzymes to break down proteins, fats, and carbohydrates. The stomach produces something called “intrinsic factor” to help in the absorption of vitamin b-12 which is critical to proper energy metabolism. Once in the bloodstream the nutrients are carried to the liver which filters and detoxifies the blood. It is the last step in the processing of nutrients to support your bodily functions. This process is pretty amazing when you consider the complexity of your digestive system and the fact that for the most part it takes pretty much anything you put into your mouth and manages to nourish your body with it. 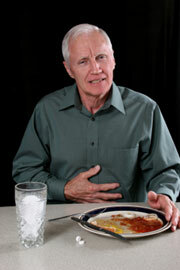 So be aware that the causes of malnutrition can include improper or incomplete digestion. Thus you should treat your digestive system with care. 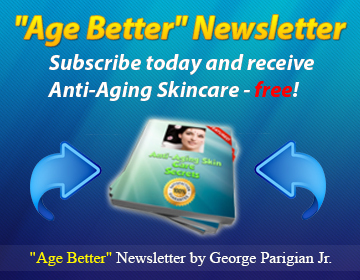 If it fails to work properly, your health and your very life are at risk! As you might imagine, your digestion process becomes less efficient along with everything else as you age. This means that even if your food is healthy and packed with nutrients, you are not getting as much of what you need even with a good diet. Knowing this, it is no wonder that most people become less healthy as they age. However, the good news is that there are ways to help out your digestive system and ensure you get adequate nutrients via your normal digestion process. Commercially available digestive enzyme supplements can help your digestive system do its job by providing increased levels of the critical digestive enzymes it needs to properly process your food. All of these are available in supplement form from many nutrition supplement companies. Hydrochloric acid, which is the main component of gastric acid, is also available in supplement form, usually as betaine hydrochloride. Always remember to check with your doctor when using digestive enzyme supplements as they may conflict with prescription medications you are on and cause problems. Hydrochloric acid deficiency is very common in older people, and creates a situation in which your digestive system does not break down proteins properly. When the digestion process does not properly break down proteins, substances called “circulating immune complexes,” can be formed. These CIC’s (circulating immune complexes)travel through the blood stream and can become lodged in connective tissue. Your immune system then attacks the CIC’s as being foreign to your system causing pain inflammation in your joints. Thus poor or incomplete digestion of your foods can actually aggravate arthritis and cause joint pain and inhibition of normal function and mobility. Now this is a common sense kind of thing, but you need to think about the food combinations you are eating, as well as the timing of your meals. Figure on a good three hours between meals to properly digest the food you have eaten. Note: See my page on food combining for more information. In fact, the digestion process may well take much longer depending on what combination of foods you are, and your activity level following the meal. If you are really active, you will burn through your food faster than if you are a couch potato. on common sense and knowing how YOUR digestive system reacts to certain foods, as well as the circumstances under which you eat them. Let me also mention a word about ulcers. The popular misconception is that they are caused by spicy foods. In truth, the cause is actually a bacteria called Helicobacter Pylori, which is found in the stomach. These bacteria can cause an inflammatory reaction resulting from the immune system trying to attack the bacteria. This inflammatory reaction can damage the stomach lining in the form of an ulcer. This is a very serious condition and if you suspect you have a stomach ulcer, you need to see a doctor to have it properly diagnosed and treated. There are several steps you can take to help your system do its job and ensure that you get all the nutrition contained in the foods you are eating. Remember that the causes of malnutrition as you age involve the digestion process not working efficiently. 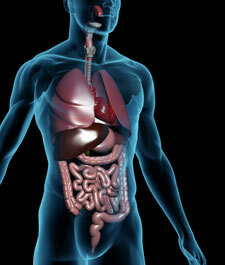 Researchers have noted a drop off in the effectiveness of the digestive system with age, especially after 65. You can prevent the causes of malnutrition by ensuring that your digestion process gets the assistance it needs to do its job and maintain your health.